The Pebble Beach Concours d’Elegance has been celebrating historic automobiles for nearly seven decade, and we want to be certain these cars will be celebrated for decades to come. So we are committed to doing all that we can to give new generations of enthusiasts the knowledge to appreciate great cars as well as the skills to create and care for them. 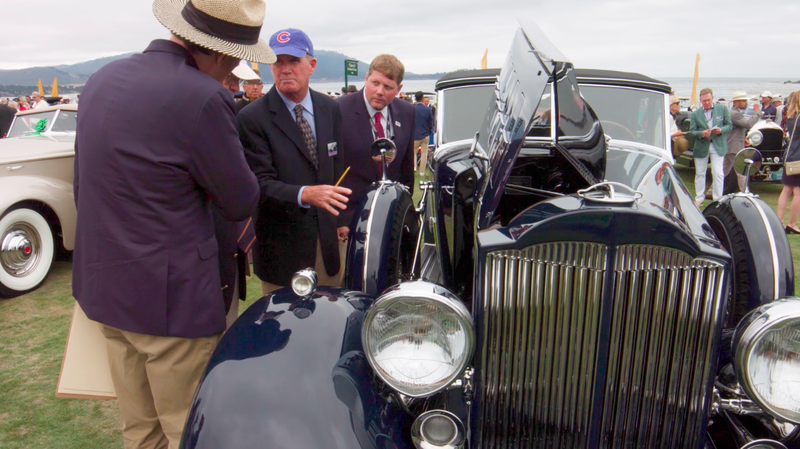 In 2009, we worked with our primary charitable partner, the Pebble Beach Company Foundation, to establish the Phil Hill Scholarships, named to honor a longtime friend of this concours while supporting students in automotive arts and technical programs. Phil Hill Scholarships have since supported 10 students at McPherson College in McPherson, Kansas, and 12 students at the Academy of Art University in San Francisco. We have also partnered in innovative ways with The Revs Program at Stanford University. Here is an overview of our current efforts! We are pleased to announce the Pebble Beach Company Foundation is once again providing Phil Hill Scholarships to 2 students: Ben Falconer and Dalton Whitfield enrolled in the Automotive Restoration program at McPherson College. McPherson is the only 4-year liberal arts college to offer such a program. These scholarships have also supported several McPherson restoration students during their internships, helping to defray living expenses while they gain experience. McPherson College students Ben Falconer (l) and Dalton Whitfield (r) talk with Concours Chairman Sandra Button at the Patron Appreciation Reception held during Pebble Beach Automotive Week. The Academy of Art University continues to join with us to honor Phil Hill by providing Phil Hill Scholarships to students in its highly regarded industrial design program, led by respected automotive designer Tom Matano. Joining the 1st 10 scholarship recipients are the following two recipients: Brett LaBar and Sean Wilson. 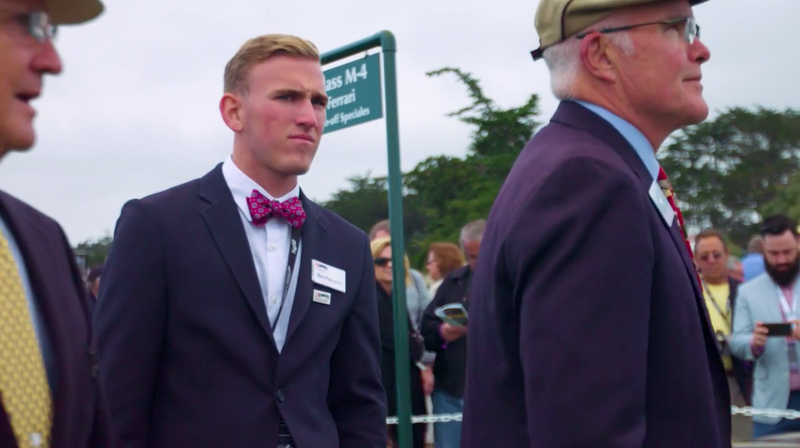 The Pebble Beach Concours d’Elegance also partners with The Revs Program at Stanford University, a trans-disciplinary program focused on the past, present, and future of the automobile. The Concours offers students the opportunity to see some of the world’s greatest cars and better understand each car’s technology, beauty, history, and importance. The past few years, in the Spring, we’ve met with a class of Stanford students to tell them about several cars headed our way. 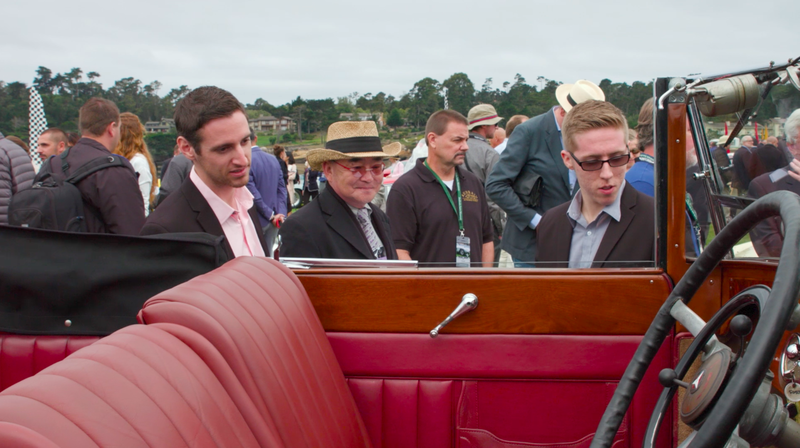 The students then spend the next few months researching those cars and debating how best to judge each car’s importance, and in August they attend the Concours to see the cars in person and present The Revs Program at Stanford Award to the car they determine to be the most historically significant. This year, the award went to a 1907 Renault AI 35/45 HP Vanderbilt Racer owned by Rob Kauffman of Charlotte, North Carolina.